When one family member has asthma, the disease affects the entire family, not just the person with the illness. The stress of living with a chronic disease reveals itself in many ways among the various family members. Someone with asthma, for example, may be frustrated with their illness and all the work that comes with it. They may be more likely to get involved in fights, be less cooperative, or be stubborn, depressed, anxious or withdrawn, which can, in turn, affect the family dynamics at home. Parents of kids with asthma are more apt to suffer from fatigue, headaches, insomnia, depression and appetite loss. Also, siblings of kids with asthma may feel guilty, thinking that somehow they have caused the illness. They also may be jealous or angry because of the additional attention their sibling receives, or they may be afraid that they may get asthma themselves. Some may also feel embarrassed by the symptoms that their sibling displays. Not to be overlooked is the financial strain that a chronic illness can cause; this can compound the stresses under which the family lives. Even with health insurance coverage, out-of-pocket expenses can seriously drain a family's financial resources. Families who are having a tough time coping with chronic asthma may find it helpful to join a support group where they can share their experiences with other families in similar situations. Such groups can offer meaningful and practical advice. Understand that asthma is a chronic disease. Accept that asthma may be a lifelong illness. Realize that asthma may go into remission but may recur again after years or even decades. Asthma can usually be easily controlled with regular and minimal medications. Discuss and offer help to solve the problems of the individual who has asthma. For children, set limits on what is acceptable behavior during acute and chronic phases of the disease. Work together to support one other. Seek family counseling or join a support group, if needed. When a family member has asthma, the financial toll can be as high as the emotional one. Even for families in upper-income ranges, healthcare coverage can be a squeeze. Various programs are available to help; some are tied to family income levels and some are open to anyone. To find more information, start by calling your local social services office in your city or town hall. Those families who do not have health insurance may be eligible for government programs, such as Medicaid, at little or no cost. Those who aren't eligible for a government program may join a private insurer such as Blue Cross during one of its annual open enrollment periods, which is available in many states. As long as premiums are paid, coverage can't be denied. Some states also have high-risk pool programs in which members are assigned to one of several plans. This also requires premium payments, but the state may help with payment subsidies. However, outside of open enrollment some health insurance types can still discriminate based on health status, so read all fine prints and shop around for the right coverage for you. What is paid for by the plan? Does the insurer cover visits to the doctors, hospital stays, medications, and medical equipment? Many insurers do not offer full coverage. Does the plan cover pre-existing and/or chronic conditions? As of 2014, ObamaCare has eliminated pre-existing conditions as long as you enroll during open enrollment, meaning you can't be denied coverage, charged more, or denied treatment based on health status. Does the plan cover only its approved providers? If your preferred pediatrician or allergist is not a participating member of the plan, you may have to change providers, which can be traumatic and unsettling. What out-of-pocket expenses must be paid? There are usually some out-of-pocket expenses, no matter what kind of coverage is purchased. These can include premiums (the cost of the insurance itself), deductibles (how much must be paid before the plan picks up the coverage), co-payments (the amount that needs to be paid at each medical visit), and additional out-of-pocket expenses that are not covered by the insurer. Acknowledge your limitations. Having a family member with asthma will undoubtedly cut into time spent both at work and on other family activities. Accepting these limitations will keep you from taking on other responsibilities that you just can't juggle. Be flexible. There will be days when not everything on your "to do" list will be accomplished. Move that task to the next day's or even next week's to-do list, and take care of what needs to be addressed right now. Just say no. Managing a family with a chronically ill member takes time and it may mean having to turn down requests for after-hours work assignments, committee memberships or even occasional social activities. Don't feel guilty about it. Just do what you can. Delegate. Ask someone to run errands for you, hire a cleaning service, have medications delivered. In short, ask for help or arrange for services that can free up some of your much-needed time. Set priorities. Nobody can do it all. Determine what is important to you and your family and let the rest go. 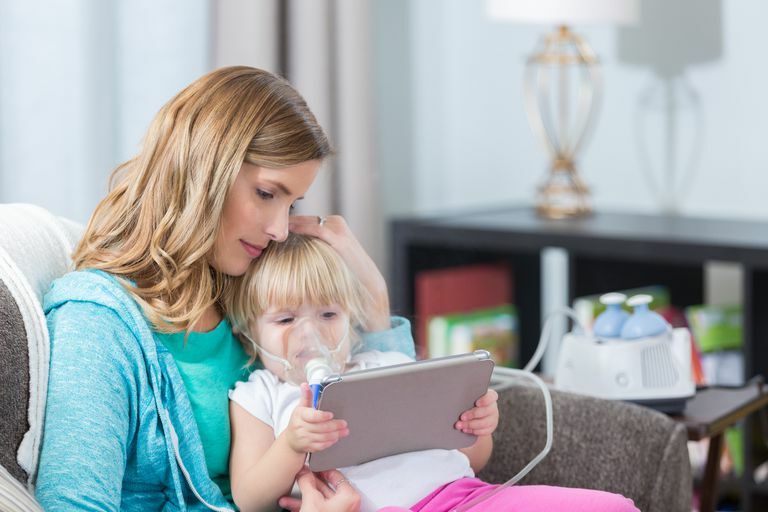 Remember that no matter how difficult it may be at times to have a loved one suffer from asthma, many families learn to cope with the challenges and maintain a healthy, happy family life. Nocon A., & Booth T. The Social Impact of Asthma. Fam. Pract. 1991 8: 37-41. Cost of Asthma on Society.Asthma and Allergy Foundation of America.